Case-6651 - Patrick Sullivan, M.D. 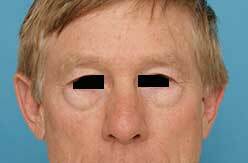 This is a 62-year-old man with concerns about “looking tired.” He did not like the hooded appearance of his upper eyelids. He felt like his eyes looked smaller. He also was bothered by the bags and circles that made him look older than he felt on the inside. 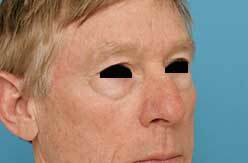 His treatment involved a slight lift of the outer eyebrow to decrease the hooding. 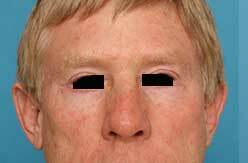 Next, the extra tissue was removed from the upper eyelid. 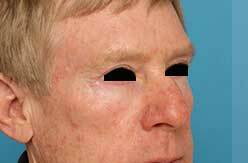 Notice: no scars are visible anywhere on the upper or lower eyelid. The puffiness was removed and the circles under his eyes were filled with his own fat. This was all done without general anesthesia but rather intravenous sedation. He said he didn’t feel any pain and has no recollection of the surgery as he was dozing through it.